Right now, there are plenty of safe 9%+ dividend yields sitting right under investors’ noses—literally hiding in plain sight! Where? In the utility sector. That’s right. As I write this, you can easily grab payouts 5 times the market average from some of the stodgiest companies out there—so conservative they used to be called “widow-and-orphan” stocks due to their ultra-safe payouts and low risks. 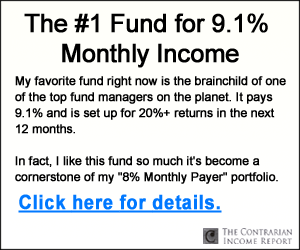 The key to the “hidden” 9% income streams available in utilities today is a special kind of high-yield fund called a closed-end fund (CEF). I’ll explain more and show you 9 buy candidates—including my top utility CEF pick—in a moment. 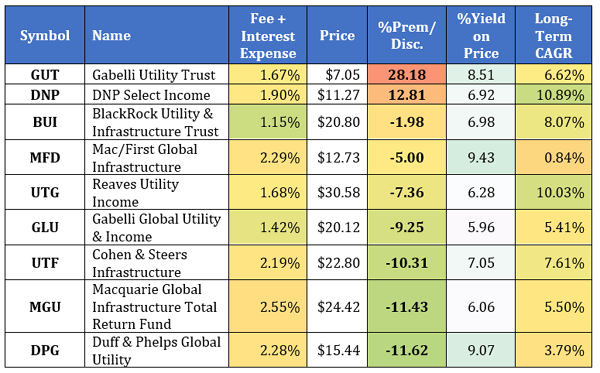 First, let’s look at how the utility stocks backstopping these dynamic funds deliver the safe dividend payouts the sector is celebrated for. 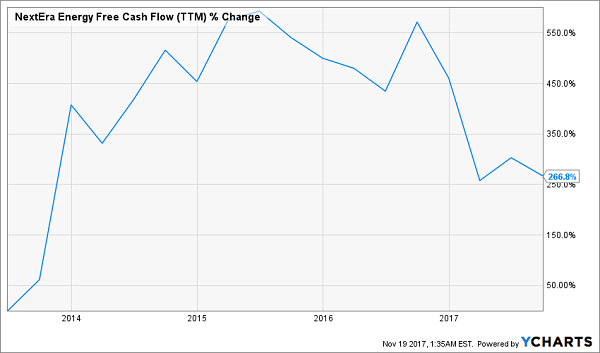 Since companies rely on free cash flow to pay dividends, this puts your income stream at risk. And that risk is hardly compensated for with a puny 3.8% yield! Of course, the utilities world is complicated, and choosing the right one isn’t all that easy. So why not buy a basket of them in a diversified fund? And the income? A 3.1% yield isn’t too shabby—a lot better than the S&P 500’s 1.9%. But as I said off the top, we can do a lot better if we delve into the wonderful world of CEFs. They’re the only part of the market where you can find a slew of utility funds yielding from 6% to 9.4%. That’s up to triple the yield you’d get on XLU! These funds deliver their outsized payouts through leverage and the structure of the funds themselves, in which their market price can be (and often is) discounted to their net asset value (NAV, or the value of the fund’s underlying portfolio). That makes it easier to pay higher distributions to shareholders—and many of these funds take advantage of that structure to offer massive payouts. Note that these are priced all over the place, from DPG’s 11.6% discount to NAV to GUT’s absurd 28.2% premium to NAV. We can immediately take GUT out of the running—there’s no way we’re paying $1.28 for every $1 of assets! But DPG isn’t a great option either. You can see that its 3.8% annualized return over the long term is pretty crummy (the second-worst of the lot). What’s more, the fund has massively underperformed XLU in 2017. If we zero in on these funds’ valuations, we start to see some bargain opportunities. The Cohen & Steers Infrastructure Fund (UTF) is an obvious choice, beating the competition and still priced at a 10.3% discount. Its 7.6% annualized return over the last decade is also impressive. Similarly, GLU’s 9.3% discount is nice considering its 24.8% total return in 2017, although its long-term annualized return is a bit lower, at just 5.4%. These two funds’ dividend yields aren’t the highest of the group, so if you’re really hungry for yield, you could go with MFD and its 9.4% dividend. While its discount isn’t too big, the fund has slightly outperformed XLU in 2017, which suggests it’s well managed now. That could make it a worthy addition to goose your portfolio’s income. But MGU is obviously the best buy. With a massive 11.4% discount to NAV and a 28.4% return in 2017, it’s the clear winner in the short term. Admittedly, the fund’s 5.5% annualized return over the last decade is a bit low, but I chalk that up to its heavy exposure to Canada and Europe, where a relatively strong US dollar throughout the early 2010s hurt the performance of foreign funds. But today’s global economy is not the economy of 2010, so MGU’s future might be different—and rosier. 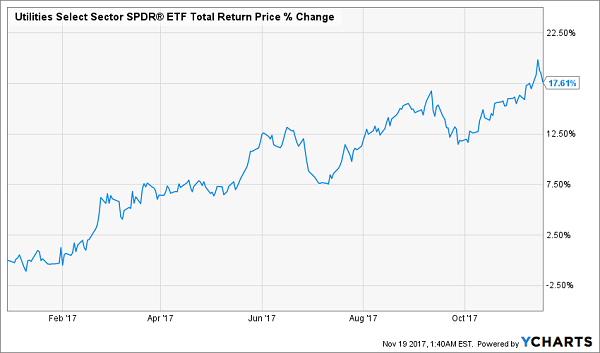 You’ve probably noticed that I’ve spent a lot of time talking about CEF discounts in this article, and there’s a good reason for that: when the herd picks up on what it’s missed and these discounts snap shut, they can generate big gains fast. That’s yet another reason why you should seriously consider utility CEFs over utility stocks: a stock always trades at its market value, so it never gets the “afterburner” that a ridiculous discount can throw behind a CEF. I’ve seen it time and time again. 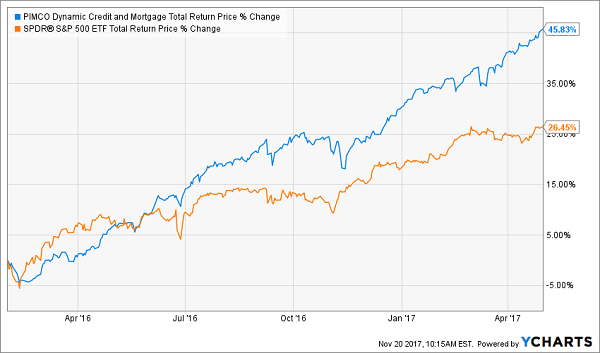 Like when the PIMCO Dynamic Mortgage & Income Fund (PCI)—a sleepy name if I’ve ever heard one—was trading at a ridiculous 14% discount back in February of 2016. What did that disappearing discount do to PCI’s market price? It catapulted it to a 46% gain! And keep in mind that PCI is a very generous dividend payer (8.8% as I write), so a lot of this gain was in cash! Before you think about buying PCI today, you should know that this fund’s discount has been whittled down to nothing following its big run and a strong year for CEFs generally. But that’s not the case for 4 other CEFs I’m recommending now. 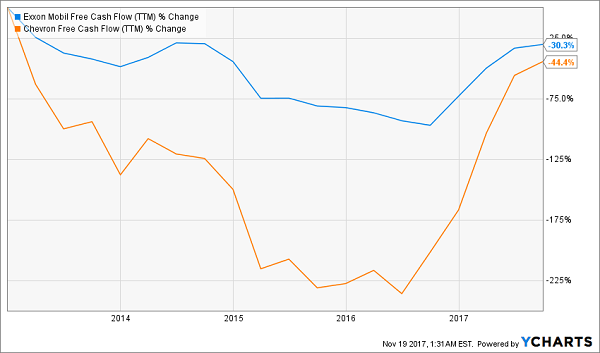 These 4 stout funds—my 4 very best picks for income and gains in 2018—throw off safe and growing 8.1% average dividends, and thanks to their ludicrous discounts, I’m calling for 20% price gains at least. 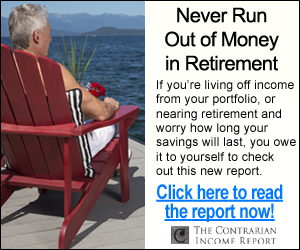 In this exclusive new report, you’ll get all the information you need before you buy, including names, ticker symbols, buy-under prices, full details on what’s behind each fund’s unusual discount, and much more. Don’t be left behind as other investors ride these weird markdowns to market-beating gains and 8.1%+ income in 2018. CLICK HERE to get your FREE copy of “4 Great CEFs to Buy Now” and start profiting today.